I love cream of broccoli soup but milk does not love me. I have been lactose intolerant for many years now and I also have a slight milk allergy. Every time I go to a wedding or retirement party, that seems to be the soup of choice, I have to pass it up. Well, not this time, I decided to make my own with a recipe from Cooking Light and milk from Smart Balance. yum!! my kids favorite soup..
Have you ever made it from scratch? You should try it is very good especially if you love broccoli. This is the lower fat version of the orginial recipe. This sounds really good. I would never have thought to use Smart Balance. I just try to avoid these types of recipes. Yeah, me too. It didn't dawn on me until I saw a recipe for a cake using lactose free milk. Such a great idea! Sharing for all my lactose-intolerant friends out there. 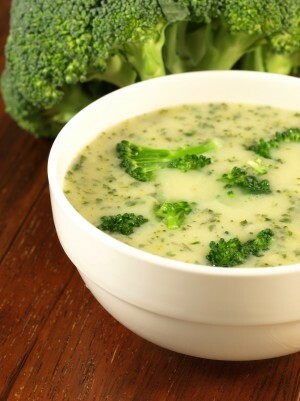 I like broccoli, but I have never tired cream of broccoli soup. Probably because I've never had a recipe and I'm not really crazy about canned soup. I just might need to try this one. 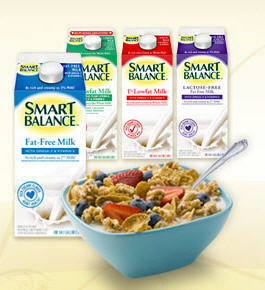 My sister is lactose intolerant - she uses SmartBalance. It is great to be able to have your favorite dishes! This looks delicious, I will definitely have to try this. Thank you for this post.